Unilever has bought organic herbal tea company Pukka Herbs for an undisclosed sum, boosting its organic and environmental credentials. The acquisition ties into Unilever’s increasingly ethical stance and fits within its growing portfiolio of "sustainable living" brands, while supplementing its existing tea brands PG Tips and Lipton. Pukka Herbs was founded in 2001 by Tim Westwell and Sebastian Pole. It uses 100% certified organic and ethically sourced ingredients. Unilever said the acquisition would strengthen its existing tea business, "addressing a gap in our portfolio". A British company, Pukka has a turnover of £30m and is growing at an annual rate of around 30%, operating in the UK, mainland Europe and the US. 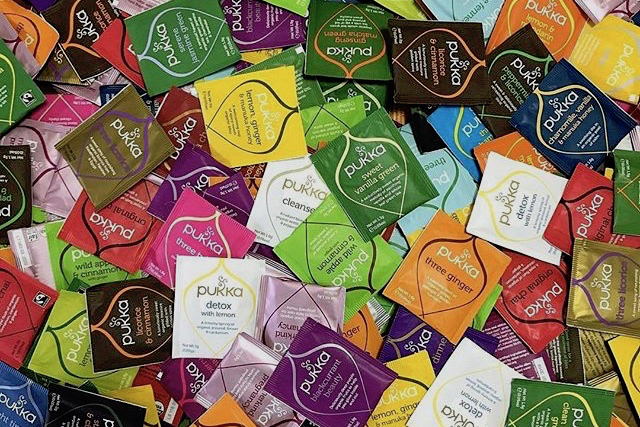 Kevin Havelock, Unilever’s refreshment category president, said: "Pukka has strong values and a clear purpose that aligns fully with our own sustainable growth model. There’s a clear strategic, philosophical and cultural fit for us." According to Euromonitor data from 2016, Pukka Herbs is the fastest growing organic tea company in the world. Nielsen data values the herbal, fruit and green tea market at €1.6bn (£1.5bn), with further growth forecast. Pole added: "Choosing Unilever came down to two fundamentals: scale and sustainability. It is a leader in social and environmental change and it wholeheartedly embraces Pukka’s beliefs. So, there’s a meeting of values. "Pukka will remain 100% organic and a champion for fair trading through pioneering schemes like Fair for Life, and continue to donate 1% of its sales to global environmental charities. With Unilever, we have new levels of reach and opportunity."